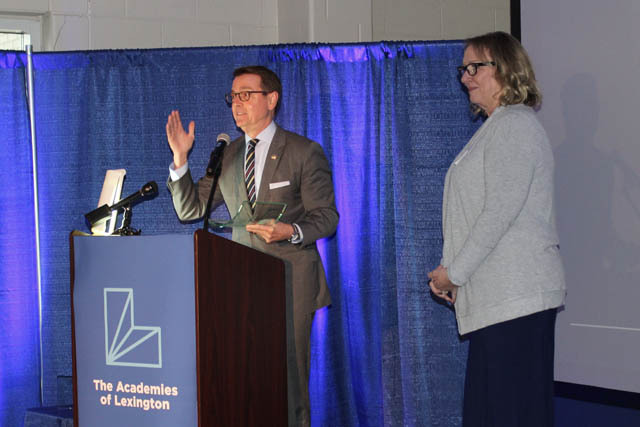 On Tuesday, Nov. 14, The Academies of Lexington, Fayette County Public Schools and the City of Lexington celebrated a tremendous milestone in a movement that’s been more than three years in the making. Together, we joined business leaders, students, educators and those who share our transformative vision, to celebrate our designation as a Ford Next Generation Learning (NGL) community. 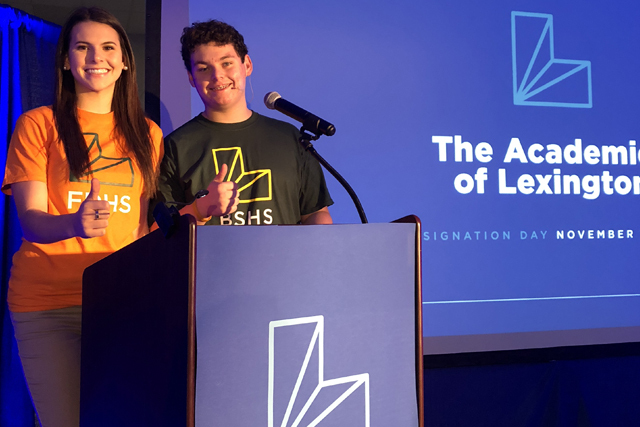 Designation Day—which is the culmination of years of behind-the-scenes work—signifies the onset of profound change in education that will transform the public high school experience in Lexington. 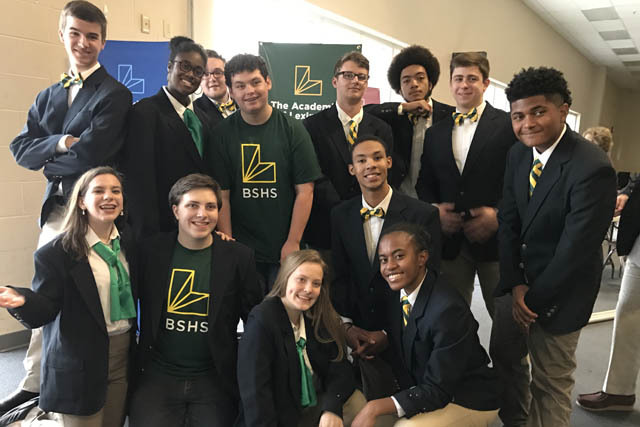 To better prepare our students to thrive in a competitive, 21st Century economy, we have implemented small learning communities within Bryan Station, Frederick Douglass and Tates Creek high schools. 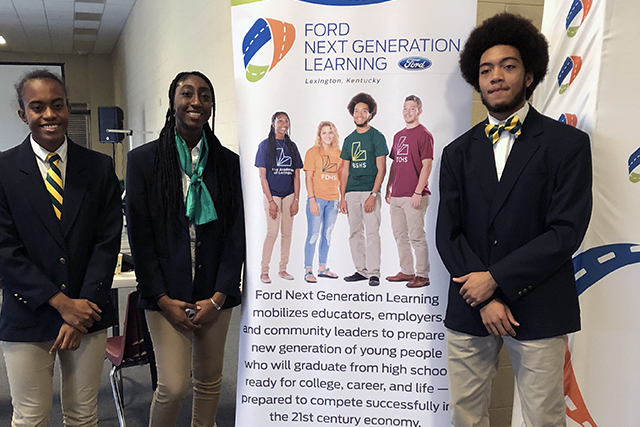 The Academies of Lexington are built on the framework developed by Ford NGL—which has been helping transform education in communities across the nation for more than a decade. FCPS Superintendent Manny Caulk echoed Smith’s sentiments, adding that “The Academies give students a voice and choice in their education. 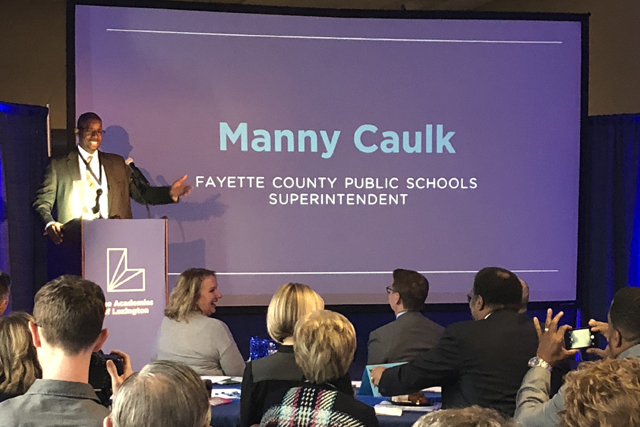 We are giving students opportunity to find what they are most passionate about and then tailor their high school experience to support the direction that they choose for themselves.” Caulk also noted that Academies will benefit businesses by allowing them to have a hand in shaping the future workforce. After completing Freshman Academy, students can select a learning pathway of interest within in-demand industries such as Technology, Healthcare, Engineering or Professional Services. Also helping students connect what they’re learning in the classroom with real-world career applications, Academy-style education offers a more personalized, engaging learning experience. Sharing personal insights on the impacts of Academies, Executive Director of Ford NGL Cheryl Carrier emphasized the incredible ways in which our students are learning. “They will be working on the most authentic projects with business partners. They will be engaged in teams, and developing the 21st Century skills that we need to work and survive life in general,” she said. Beyond our deep appreciation for the support from the community, we were touched by the personal stories of students from Bryan Station, Frederick Douglass and Tates Creek who bravely shared their Academy experiences before peers, school administrators, business and community leaders. From Bryan Station IT Academy senior Malik Locke’s aspirations to work in Cybersecurity, to Frederick Douglass Health Sciences Academy junior Arianna Black’s goals of becoming a neonatal nurse—hearing their powerful stories was a testament of how Academies are preparing our students to succeed in life after high school. And as Tates Creek freshman James McKenzie shared, his journey to self-discovery and finding his future is beginning now in his Freshman Academy. While Designation Day has come and gone, the opportunity to join our movement is happening in real-time, right now. To learn more about each of our Academies, or how you can get involved, follow us on social media or visit our website at http://academiesoflex.com/.